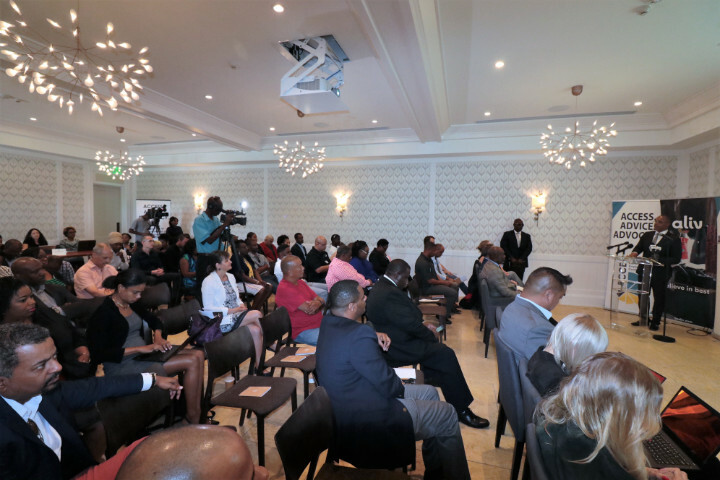 NASSAU, The Bahamas – During his remarks at the Bahamas Chamber of Commerce and Employers Confederation’s (BCCEC) Cyber Security Forum, on May, 10, 2018, Minister of National Security the Hon. 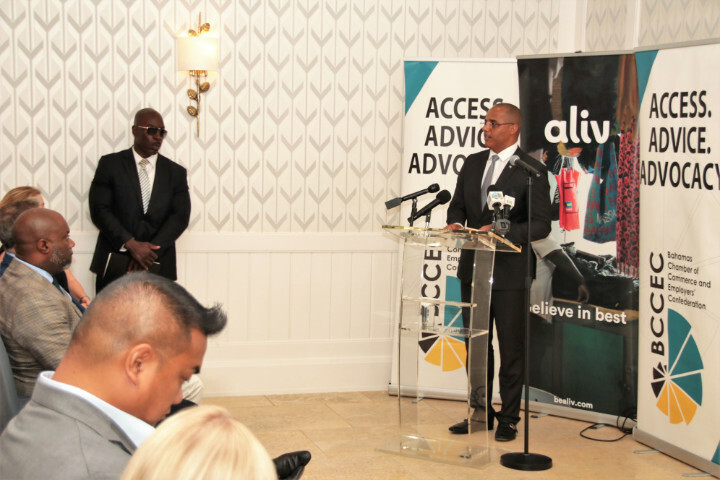 Marvin Dames noted that while The Bahamas, being a member of the global community, has embraced cyber opportunities, it is, of course, not immune to the negative effects of cyber crimes. “With a population of less than 400,000 persons, a study conducted by International Telecommunication Union (ITU) in 2016 revealed that approximately 333,143 or 84 percent of the total population accessed the internet at home or via other device types and connections,” Minister Dames said at the event, which was held at the Island House. “Last year approximately 171 incidences of cyber crimes were reported in The Bahamas, compared to 95 in 2016. Minister Dames said that, in The Bahamas, there are three vital legislative regulations that govern cyber security. Both laws, Minister Dames pointed out, safeguard the rights of citizens online and establish norms and regulations for e-commerce and other online services. However, he said, much more work remains and the government is committed to providing the necessary safety and intelligence that will make all safer tomorrow than they were at that time. He noted that the OAS report also asserts that regionally, several large scale data breaches showed that cyber crime remains rampant and threats from cyber criminals continue to menace government, businesses and individual users. “Our Government is cognizant of the fact that much work remains if we are to properly address the cyber security challenges that we now face,” he said. “We have already taken decisive action to address this issue. Minister Dames stated that the global reliance on cyber activities will increase in this century and beyond, and as a tool, the Internet is expected to facilitate multiple legal activities. However, he noted, coupled with that will be cyber criminals using the limitless virtual world to commit cyber crimes. Minister Dames reassured those in attendance that the Government viewed cyber security as a serious threat to national security, economic development and way of life. “Henceforth, we will strategically collaborate with our national, regional and global partners to promote cyber security,” he said. I would also like to take this opportunity to encourage business owners and the general public to safeguard your data, money and identities from cyber criminals, as much as possible.